Girls will love watching themselves grow with this sweet circus princess personalized printed canvas growth chart. 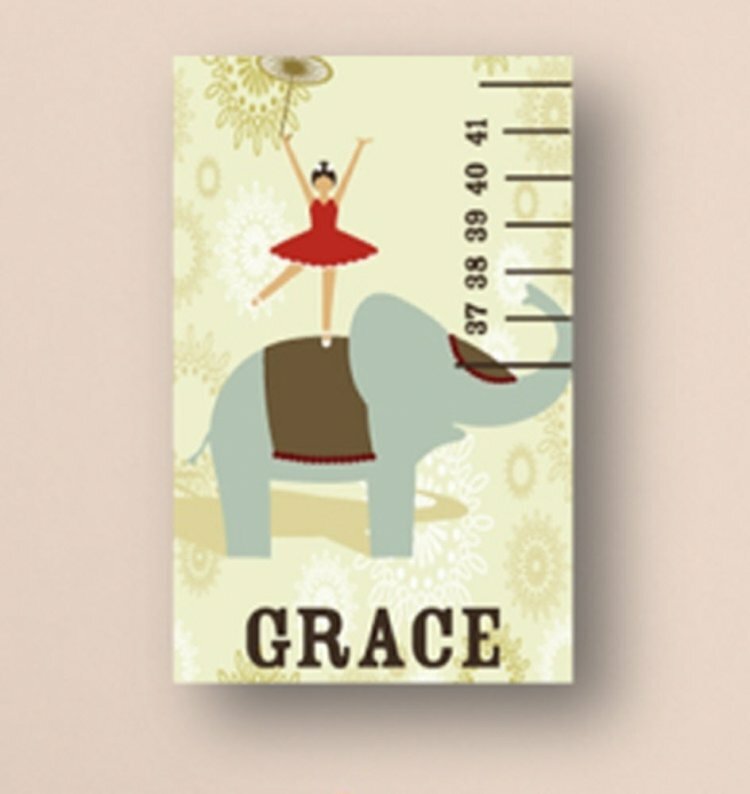 Attractive and fun, it features a bright princess and elephant circus image to brighten up any kid’s room and a ruler style growth chart that tracks growth from 24 to 60 images. This height chart makes a great personalized gift or a perfect addition to your child’s room.